I like to read books. Especially one’s that give me useful information. As I was strolling through the library for unnecessary reading material not for school, I stumbled upon “Drink this, Not that.” I love these “Eat this, Not that” books so of course I was intrigued. Here’s some useful information I think we can all use, especially us alcoholics. 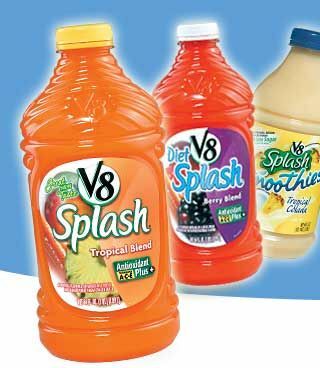 If you are going to drink vegetable juice or use some in your Bloody Marys, V8 is always best. V8 is actually better for you than real straight up tomato juice even. Why? Because it includes an expansive list of nutrients and an 8-ounce glass provides two servings of fruits and vegetables. This is heaven to my ears since I can’t even find it in myself to put tomatoes on my sandwich. More interesting? 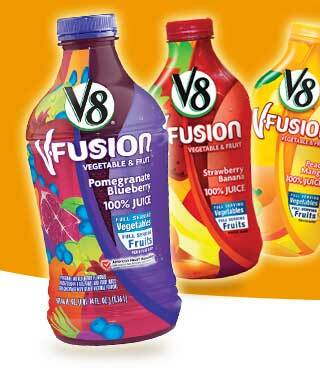 V8 Fusion is tastier but still good for you. It’s 50 calories per serving and each calorie comes from a blend of sweet potatoes, carrots, apples, pomegranates and blueberries. Nice. One more interesting thing? V8 Splash is bad for you. The book says it is “unfit to carry the V8 brand name. It’s made with artificial colors, high fructose corn syrup and a pathetic 10% juice.” Of course V8 Splash was the one I liked, but that’s just how my life has been going lately. Another devastating blow? Rice milk is bad for you too. Fudge me. I don’t really enjoy drinking cow milk because I love my dairy cows but I do love the taste of cow’s milk. That’s why I love rice milk. It tastes just like skim milk and I always thought it was awesome that it was made from rice…how healthy! Nope. The book crushed all my dreams by telling me “You can’t expect the milk to be more nutritious than the grain that produced it, and that rule is best illustrated by rice milk. Rice consists of mostly starch, a carbohydrate that quickly breaks down to sugar in the body. Likewise, rice milk is the most carbohydrate-rich of all common nondairy milks.” Sweet. I’ve been DRINKING my carbs too! Wow. I’m an idiot. So now my husband can say “told you so!” since he’s been trying to convert me to almond milk for months. Husband 1 Wife 0. Damnit. Now, onto the important stuff: beer. 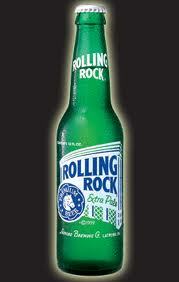 If you are going to drink Domestic beer my lovely Rolling Rock Extra is a winner! Hallelujah! It is one of the lowest calorie beers. 132 calories to be exact. You want better than that? I gotchu. My favorite grandma drink that everyone makes fun of me for drinking is Michelob Ultra. But I don’t care because it only has 95 calories and 2.6 grams of carbs. Holla! Miller Lite is pretty awesome too, at 96 calories and 3.2 grams of carbs. The lowest though is MGD 64 (Miller Genuine Draft 64) at 64 calories and 2.4 grams of carbs. How come no one has introduced us before? Now if you want your fancy imported beer, the “healthiest” beer is going to be Becks Light, which is pretty good I have to say myself and has 64 calories and 4 grams of carbs. Another good one? Yummy Amstel Light at 95 calories and 5 grams of carbs. That was the best of the best. Here’s the worst of the worst. For Domestics, Budweiser American Ale is your worst enemy. A bottle carries 182 calories and 18.1 g of carbs. Holy guacamole. 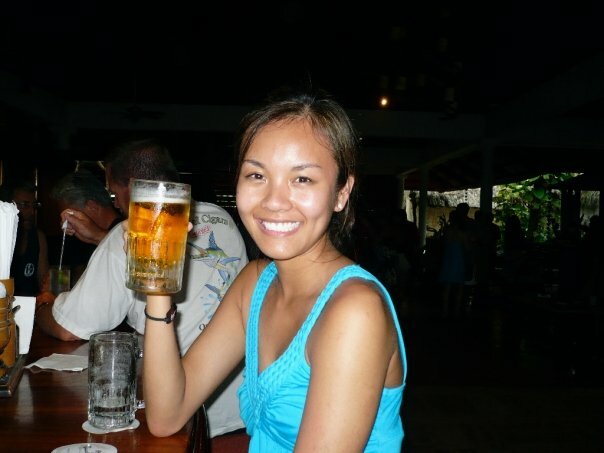 My husband’s fave Sam Adams Boston Lager comes in second at 170 calories and 18 g carbs. Ha! Husband 1, Wife 1. 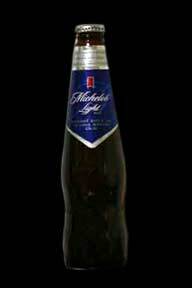 For light beer drinkers Michelob Light is the worst at 123 calories and 8.8 carbs. You might as well switch to my Ultra. Also bad? Bud Light and Bud Light Lime. For imports Guinness Extra Stout (176 cals, 14 carbs) and Heineken (166 cals, 9.8 carbs) were the worst. Corona also made the bad list. Sadness. If you are intrigued so far, you should get the book because I only highlighted what was important to me. I thankfully don’t consume coffee, pop, tea or juice. 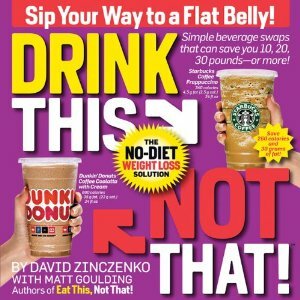 Most other people do, so this book explains and compares many gazillion brands of drinks. It also goes into wine and spirits. 😉 Also important to me, but I don’t have all day to write about alcohol. Maybe if someone paid me. Anyways, get the book because it’s awesome. It runs about $20 at the bookstore or be cheap like me and get it at the library. For those of you unwilling to spend $20 on a book but have accidentally gone to the bar when it wasn’t Happy Hour and spent $20 on two margaritas, you may want to reevaluate your priorities. 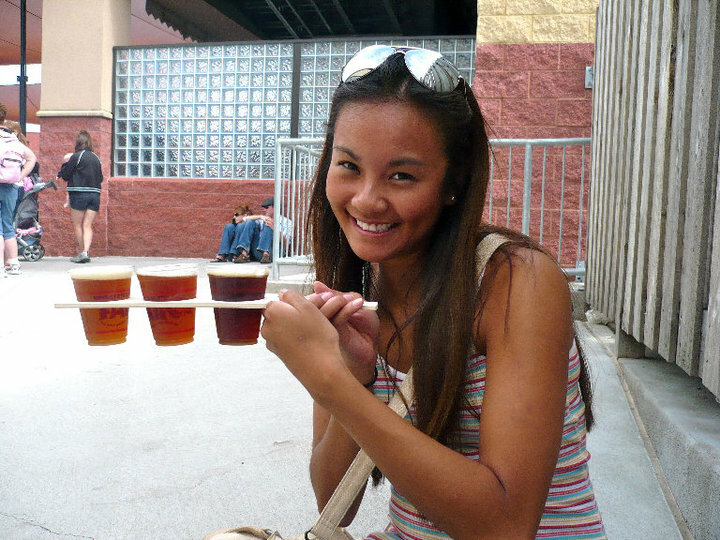 Not judging, just saying from one alcoholic to another.